Kurt Warner had a brilliant career in the NFL. 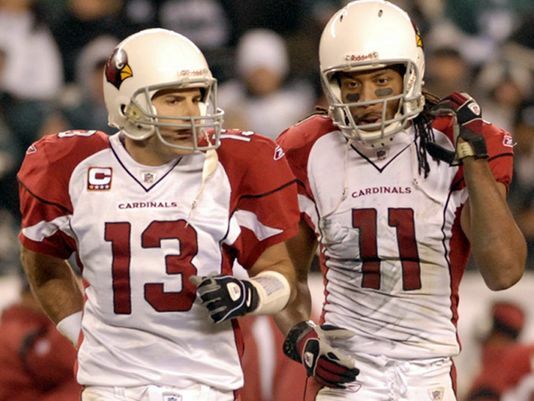 Whether it was him leading the St. Louis Rams to a Super Bowl victory in 1999 or taking the Arizona Cardinals to their first ever Super Bowl berth in 2008, Warner left his mark in the NFL. Kurt has been named MVP in the league as well as in Super Bowl XXXIV. Besides excelling on the field Kurt does even more off the field with the work he does with his foundation, First Things First. The foundation is devoted to impacting the lives of others using Christian values, providing aid and supporting those in need. 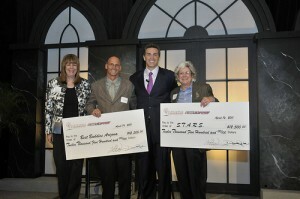 The foundation supports children’s hospitals, people with developmental disabilities, and single parents to name a few. 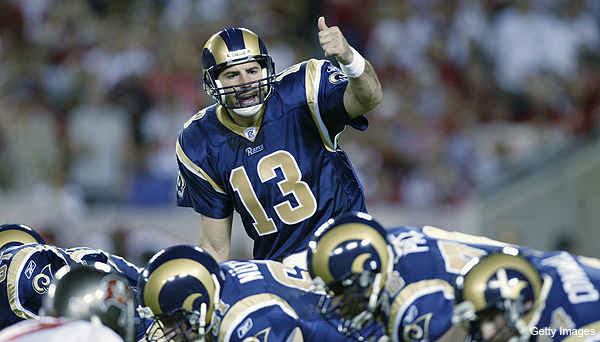 Kurt Warner is now an analyst for the NFL Network. 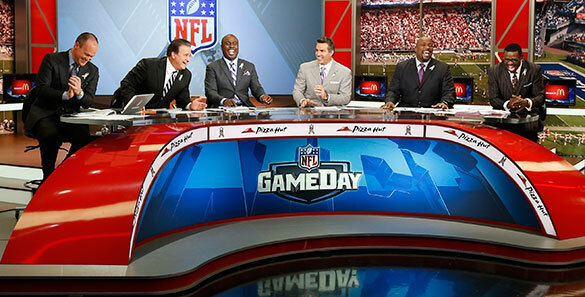 Check him out every Sunday on NFL GameDay Morning at 9:00 AM ET. Kurt was able to chat with me about who he thinks has the best shot at winning this year’s Super Bowl, his playing days, and his foundation. Art Eddy: You do an excellent job breaking down games for the NFL Network. You are a few years retired from the league. What are some of the major changes to the game since you retired? Kurt Warner: I think the biggest thing is passing aspect of the game due to the new rule changes. Also the nature of the talent that has come into the league like the tight end positions. The athletes that are coming into those positions now has really driven it to become a pass first league more so than any other time in the history of the game. I think that has been the biggest change. It has become difficult to play really good defense. AE: Which teams are fun to watch for you and the crew at the NFL Network? KW: I appreciate the game having played it. I enjoy watching a lot of different things. Of course I enjoy watching passing teams, their passing concepts, and a good quarterback on how they read and decipher defenses. I also like watching good defenses. To see how teams like Seattle are able to week in and week out just come up with schemes and have the talent and the ability to stop teams. Like when they played the Saints. It is rare because of the changes and the athleticisms of offenses. It is rare for defenses to come out and shut down really good offenses like that. You have to appreciate what they are doing and how they are able to do that week in and week out. AE: Who is your pick to win the Super Bowl? KW: Right now I think that it is still between Denver and Seattle. I think that those are the two best teams from an all-around team standpoint. What a great battle it would be to see a Seattle defense up against Peyton Manning and the crew that he has. I think it would be a great matchup. I think it would be fun. There would be a lot of great storylines. I think that those are the two best teams right now. I think what you are going to see is what will happen on the other side of the ball. Denver’s defense, can they step up and be able to make the plays needed to win a championship. It is the same with Seattle’s offense. Russell Wilson is playing great right now. You want to see that offense continue to do that. If so I would give them a slight edge because they are better on both sides of the ball. I think it would be a great matchup. AE: What is your take on having the Super Bowl at MetLife Stadium this year where it could snow or rain? KW: I am not a big fan of it. I don’t want the history of our game to be determined by weather. I understand why you have home field advantage and why you play the games during the regular season, but if you are a team that plays in a dome it is not your fault. The problem is that it is hard to really prepare to go out into the elements. I think we get to see that a lot. Teams get a week to prepare and spend some time in the city, but it is very difficult to acclimate yourself with the weather. These teams that are dome teams or warm weather teams I think it is an unfair advantage if you are putting them into a poor weather situation with a team that is used to it. I understand all about football and how it has been built. It is a game that is played outdoors and in the elements. I want there to be a situation where both teams have an equal opportunity to play their best football. So with that, may the best team win. I am not a big fan of that. I know other people really like that and think that it is part of the game. I think that certain teams would have a disadvantage by going out in the elements, especially in that kind of game. 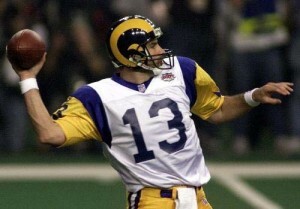 AE: Speaking of Super Bowls, you and the St. Louis Rams beat the Tennessee Titans in Super Bowl XXXIV. To me that was one of the best Super Bowls in the history of the NFL. You won the MVP award and that game is known to many as the “One Yard Short” game. What did you take away from that game? KW: Anytime you win the Super Bowl and get to the pinnacle of your job, your career in the business that you are in is phenomenal. To win such a great football game, I have been fortunate. I played in three unbelievable Super Bowls. Two Super Bowls that could have gone either way came down to final plays. It was great to be able to get that win in my first Super Bowl. It was great to see how the team had to step up. The offense had to make a big play to get us ahead and then the defense had to make a big stop. That is what football for me is really all about. You win championships as a team. All sides have to come together. I definitely saw that in my first Super Bowl and that was one that I will never forget. AE: You have played with some great guys like Torry Holt, Isaac Bruce, Marshall Faulk, Larry Fitzgerald, and Anquan Boldin. As a quarterback it must have been a dream to have those players as teammates. KW: No great quarterback is ever great without having great players around him. You can go down the list. To have those kind of guys to count on, guys who were big time players in big time moments was so much fun. It made my job so much easier to know that those guys were on the other side and know what they could do and trust them in any situation. I was really, really fortunate to play with some really great players. It was a huge reason of why I had the success that I did. AE: How tough was it to step away from the game? KW: It really wasn’t that hard to step away. The reason was that the last few years were extremely rewarding. No one really gave us a chance. We didn’t necessarily have a great team, but we were able to overcome a lot. We were able to come together at the right time to do some really special things. It was rewarding, but at the same time it took a lot out of me. I was asked to do a lot. The mental stress and the pressure to live up to certain expectations was really hard. It had an effect on me both mentally and physically. Understanding that and knowing how much I had to give, you understand the reward, but also the cost of it. When I weighed all of those things it was actually an easy decision to walk away. The game had been tremendous to me. I accomplished more than many people expected me to. I was very proud of what I was able to do in my career. It became much easier for me to say that I am not willing and able to give what my team and teammates deserve that I have to step away. As hard of a decision that it was just because it is never easy to say goodbye, at the same time it was the right decision. I knew I didn’t have what it takes to give what I always had. AE: Tell me about the outstanding work you do for your foundation First Things First. KW: It something that we started about 12 years ago. We started it because we didn’t want to limit God in his reach with our lives. We didn’t design to say hey we are going to focus on this group or that group. We have been varied in the programs that we have run. From working with Make-A-Wish and taking families down to Disney with us every year to doing homeownership programs like Habitat for Humanity and working with children’s homes and orphanages. We just have a variety of things. We just are now working to help with supportive living for adults with intellectual and developmental disabilities. Our son was injured when he was young and deals with these challenges on day to day basis. We have come to understand that when he gets passed high school all the challenges that are out there to really allow them to thrive and have a purpose and derive in live. That is our next endeavor is to build what we call Treasure House for these individuals and these families to have a next step and have dreams in life. Our foundation encompasses a lot of different things, but wherever God directs us or takes us in life He usually seems to open up a door to allow us to help in that area. That is how we designed our foundation from day one. We will be where God takes us and if a door opens up we will go through it and see how we can help. Print article This entry was posted by Art Eddy III on December 16, 2013 at 6:13 am, and is filed under Sports. Follow any responses to this post through RSS 2.0. Both comments and pings are currently closed.